Professor Bogdanor‘s commentary on Jack Straw’s constitutional reform proposals (Straw has wasted his chance to wield the reformer’s broom, 21 July) is disappointing, especially coming from such a distinguished authority. He lists some quite minor items missing from the Bill, but without mentioning its most conspicuous and negligent omissions: the sorry failure to offer any answer to the West Lothian question, any measures to head off the disintegration of the UK through the movement for Scottish independence, or, in the same context, any intention to complete the unfinished process of devolution. Professor Bogdanor writes that under the Bill “the hereditary peerage will atrophy until it entirely disappears,” whereas the Bill proposes only to phase out hereditary peers’ membership of the House of Lords. He says that “Measures will be taken to expel peers, such as Lord Archer, found guilty of serious crimes,” whereas the Bill itself makes it clear that this will not apply retrospectively, so Lord Archer’s seat in the Lords should be safe. 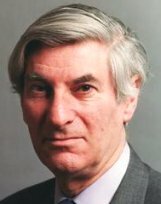 Professor Bogdanor recalls that “in 2000, Labour gave 5% of registered electors the power to require a referendum on whether their authority should have a directly elected mayor,” but then equates this with enabling “5% of the voters [to] be entrusted with choosing a mayor,” a very different matter. Above all, his suggestion that a percentage of the population of each locality should “be entrusted with making wider decisions about the nature and scope of local services, even of services such as the NHS, which are not administered by the local authority” blurs the vital distinction between participatory and representative democracy, the latter meaning that we elect representatives to take political decisions on our behalf rather than taking those decisions ourselves. The disastrous consequences of decision-making by popular referendum (other than on the most significant constitutional issues) can be seen in the parlous state of California’s finances. We should prefer Burke to Bogdanor on this. Well, we can agree with the good professor, then, about the Tories’ proposals for a British Bill of Rights and the arrest of Damian Green (on which my similar views are set out at rather greater length here and here), whatever we might think of his dubious analysis of the wretched Constitutional Reform and Governance Bill. PS: Another dismal feature of the so-called Constitutional Reform (etc) Bill is its inexplicable and indefensible insistence that while the remaining heredity peers’ membership of the House of Lords is being laboriously phased out as their Lordships are culled, one by one, by the Grim Reaper, nevertheless the Church of England is to keep its weird privilege of appointing a selection of its bishops and the Archbishops to membership of the second chamber of our legislature. Law-making by priests — of one sect only — is to continue. Considerations of space inhibited me from mentioning this absurdity in my abortive letter to the Guardian; the Oxford professor, with more Guardian space available to him, doesn’t mention it either. Muslims, Roman Catholics, Jews, atheists, etc., etc., take note. The mountains will go into labour and a ridiculous mouse will be born. Next story What does it mean, being on the left?